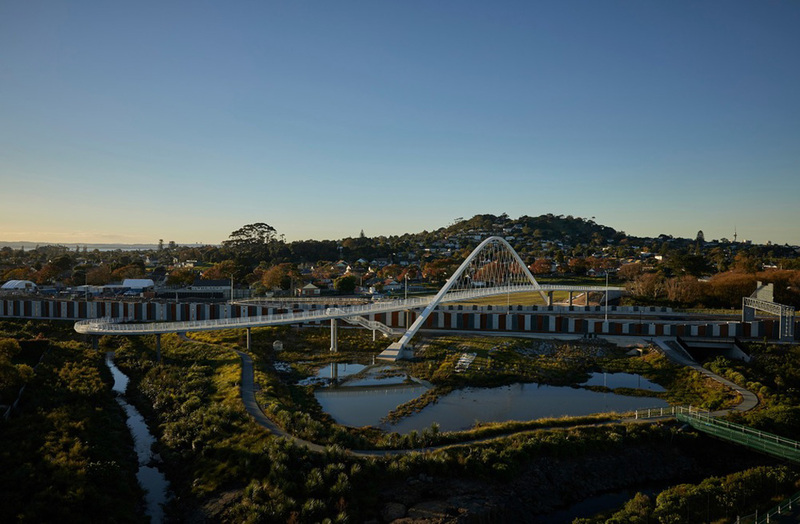 An ambitious urban infrastructure project in Auckland, New Zealand, known as The Waterview Connection, unconventionally puts people, not cars at the forefront of its design. 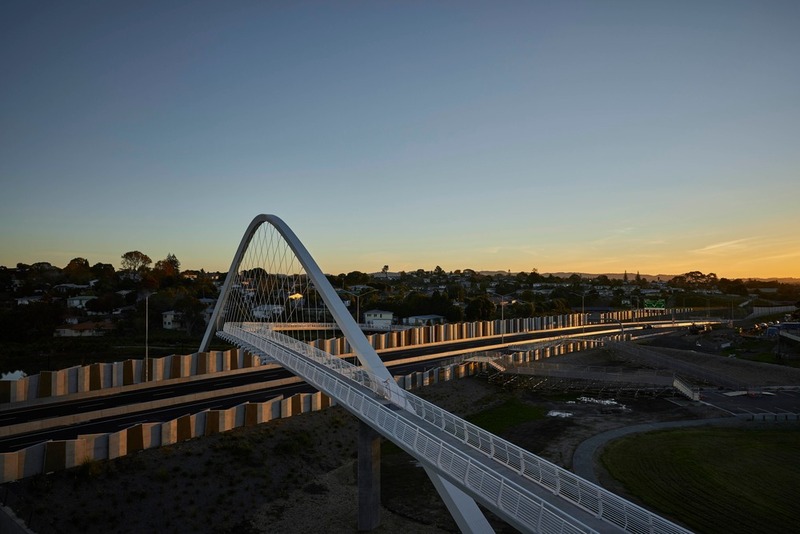 The Hendon pedestrian bridge, Te Whitinga, references Auckland’s volcanic cones and stitches back together a community that found itself on either side of the motorway. Locke says aspects of the motorway corridor, including the retaining walls and structures, were designed to closely reflect the nearby landscape and Māori culture. “The stacks are reimagined as symbolic Māori ‘pou’, to mark the tunnel entries as places of significance in the land. 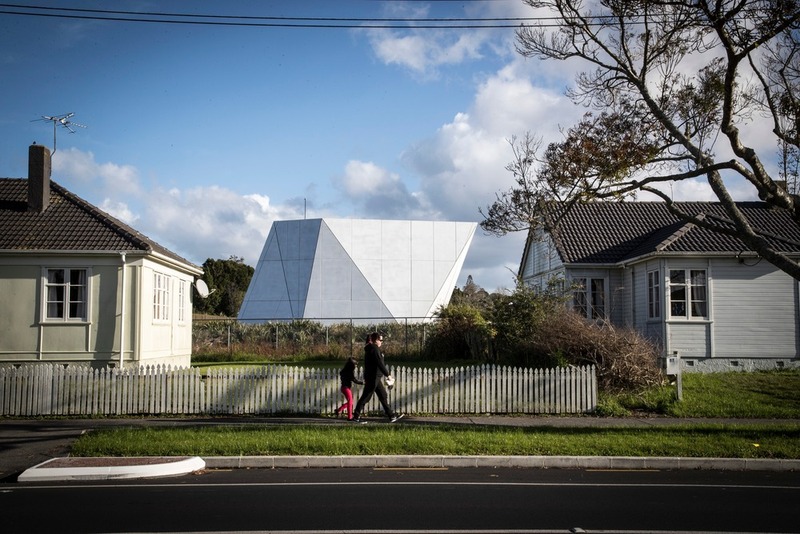 Artwork and sculptural gestures relate to the stories of the area’s Māori history. The project took six years and involved more than 10,000 people, which enabled Warren and Mahoney to combine its understanding of built structure with the values and needs of the community. “The building of trust and understanding between us led to a higher quality design which reflected the local environment,” adds Locke. 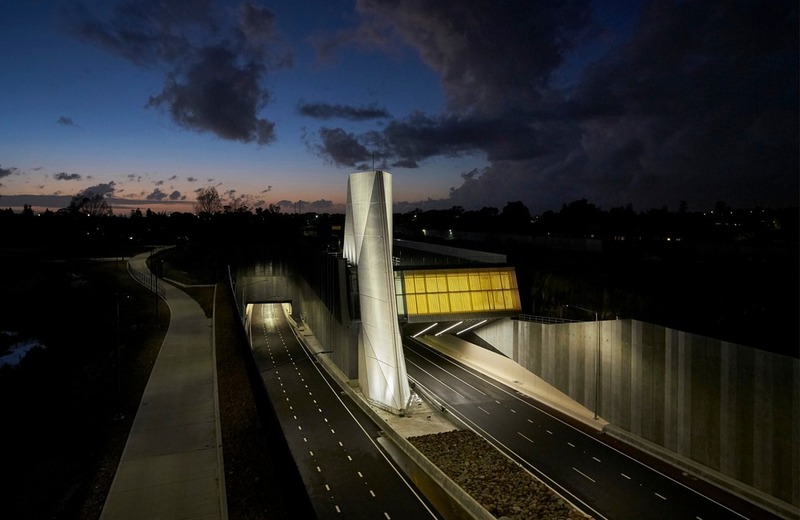 “As a result, we were able to create one of New Zealand’s most humane pieces of infrastructure”.